While some may argue that used tires are just as good as new ones, it depends heavily on the previous driver and how much wear and tear the tire has endured. To avoid wasting money and eliminate the guessing game, it's best to buy new. Another reason that new tires are more sensible is because they often come with a warranty that will cover you if something unexpected happens. Used tires are usually sold "as-is," which means that if they go flat within a week it is not the seller's responsibility to replace them. The tread is the noticeable groove pattern on the outside of a tire that provides more grip. This ultimately results in better traction, which makes your vehicle safer to navigate on the road. Different tires have different treads and during the winter, you'll want to look for tread that is designed to push moisture and liquids away from your tire. That's why getting winter tires specifically is so important. Did you know that your tires can determine your fuel economy? The quality and condition of your tires can affect your rolling resistance (how much effort/fuel it takes to make the wheels turn), so it's important to consider this during the buying process. Low rolling resistance means that your car doesn't have to work as hard, saving you gas and mileage. 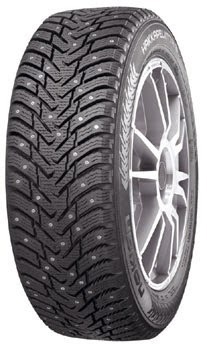 Considering this, new tires are always the best way to go, as their better traction will keep you moving faster than slippery tires with worn treads will. The more educated that you are about the kinds of tires out there, the easier it will be to make a good choice. Assess your needs and then do some general research to find out what the best options are. Most importantly, read some reviews of the products by customers who have used them. They will offer valuable first-hand accounts of how the tires perform and whether they are worth the money you are paying for them. The cold weather is here and you and your car need to be prepared! Give yourself peace of mind this winter by investing in reputable brands like Nokian winter tires, with an undeniable quality and performance rating.